I am excited about a new Cleaning Series I am sharing with you each Friday. I am helping you take small steps with organizing your home. We are all very busy, but the idea is for you to see the video each Friday and know what your weekend task is going to be. They are simple task that you can complete quickly so you can move on and spend time with your family. Our weekends are short enough without spending too much time cleaning. 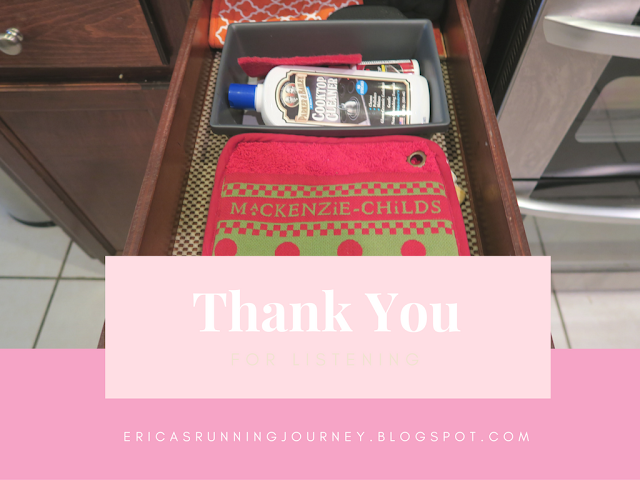 One of my favorite changes I made this year was to make a utility drawer. This holds all of those items like my label maker, flashlight, and my battery storage. It's the kind of things that when you need to get your hands on you want them to be right at your fingertips. One tip I have is to have a space that you keep your sharp tools. This helps my family know that they should never just reach in this part of the drawer because they are very sharp. We never just throw tools in this section of the drawer. Creating a divided space does not have to cost a lot and can be done on a budget. Walmart has this pack of two containers for $.97 and they work great for holding the type of items that need to stay grouped together. This is one of my favorite drawers because it all things baking and measuring. 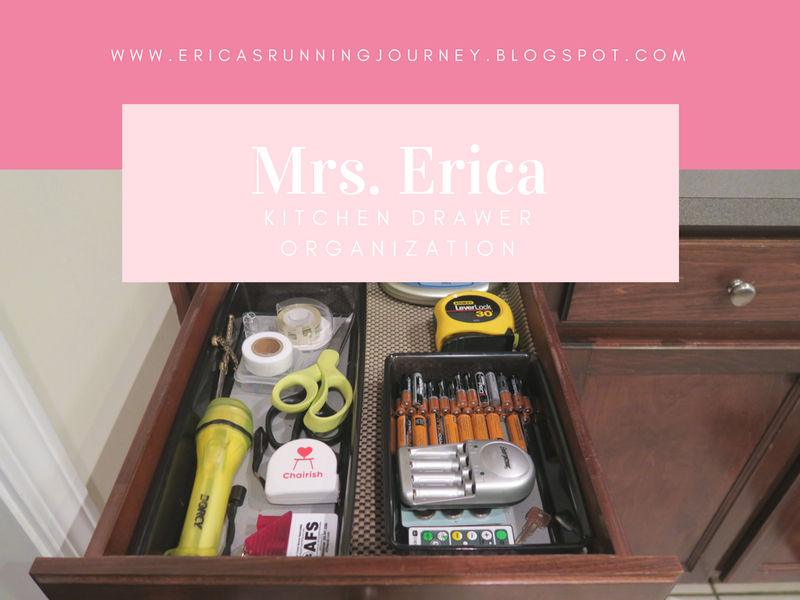 A dash of this and a dash of that but keeping it all organized is a huge help! This is a great time to wash your pot holds and put them back in place clean and organized. This is another item that you only need a few of and not a drawer overflowing with potholders. Take a minute and see if you need to purchase a new set. HomeGoods and The Dollar Tree have great prices and a great selection. This is my stationary drawer that holds pens and pencils for all of our needs. Also, the notepads are perfect for my daily grocery list. The key here is you don't need 100 pens and notepads but just enough to keep the drawer well stocked. I hope you enjoyed a look at the step by step video I put together for my Youtube channel. Be sure to subscribe so you don't miss out on all of the upcoming videos! I am really excited about this series.